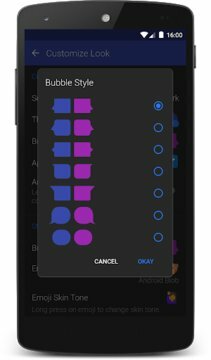 Do you want a beautiful, super-fast and fully customizable alternative to your built-in messaging application? Today is your day. TEXTRA - just an outstanding program! 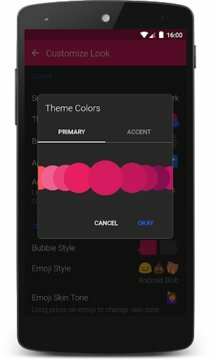 The program contains a sea of ​​great features, such as the 100+ material design, text boxes, and icons. Dark, light, and night modes, 6 styles of text boxes, SMS, MMS, camera for quick snapshots, a gallery with the ability to select multiple images, pop-up window with the answers, exchange group messages MMS, quick voice notes, GIFs, 21 text size, lock / blacklist, automatic compression of video and images, and more. 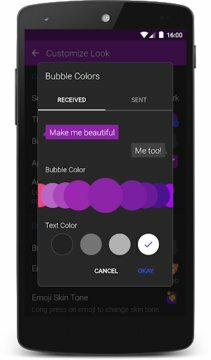 Customize your preferred color theme and text boxes, labels, and notices (the icons, the color of LED, sound, vibration, confidentiality, reminders, and mute), including individually for each contact. 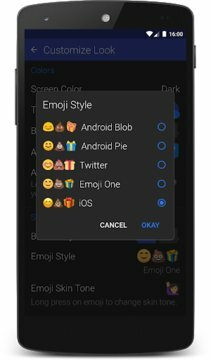 Get all the latest (Unicode 9) 2000+ Emoji Android, Twitter, Emoji One and iOS including options (skin tone). Simply select your preferred style Emoji and express yourself! 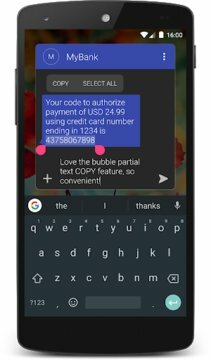 New: Copy of the text within the text-box. Click on the text box to check this great new feature! This is something special: try the program, talk about it with their friends, but most of all enjoy it for yourself! Fully compatible with Pushbullet, MightyText, Android Wear and Android Auto (Car), enabling advanced notification and rapid response. DUAL SIM: Textra now fully supports devices with support for two SIM-cards for Android 5.1 and above. Updated: 27 января 2019 г.